Craft beer has become a Friday night staple in many bars across the world – not yet so in Kyrgyzstan. 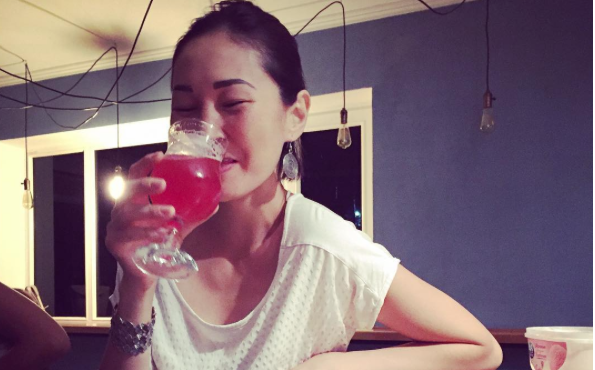 Two women hoping to change that are Aida Musulmankulova and Arzu Kurbanova, who have opened the country's first craft brewery in the capital, Bishkek. Inspired by the beers sampled during their world travels, the brewers opened Save the Ales in May this year. The bar offers a welcome change to Bishkek's bar scene, which is monopolised by themed pubs. They hired an all-female team to run it, with the aim of breaking down the still prevalent idea that beer is the domain of men. “You girls have put all the men in Kyrgyzstan to shame. If you ever have any problems with anyone, just call me,” one customer exclaimed, after originally being disgruntled by the notion of women brewers. With ingredients imported from as far afield as the USA and Germany, the beer will set you back $2.80 a glass – a high figure relative to local wages. This has somewhat limited the bar's clientele to expats and the urban middle class, but its audience among baikes – a term meaning “elder brother” in Kyrgyz, but also used to refer to middle-aged men – is growing. With a queue of restaurants hoping to get Save the Ales's beers on their menu, the brewery's reach looks set to grow and grow – could you soon be ordering a Kyrgyz beer at your local bar?